Mailbag: Your Top 3 Retirement Questions Answered! I’ve received tons of emails from readers like you with questions about retirement. There’s just no way I could respond to them all. And while many people don’t like getting so many emails, I do. Because it means that there are existing or future retirees out there who can use my experience to live a more fulfilling retirement. That’s the reason I became a retirement coach in the first place! So today, I’m going to answer the Top 3 most frequently asked questions I get from readers about retirement. Purchasing health insurance outright can get expensive. Most Americans receive healthcare coverage from their employer which brings down the cost. And by the time they retire, they’re eligible for government-sponsored health insurance through Medicare. It’s a simple strategy where you significantly cut back your hours at work, let’s say to 2 days a week for example. Or you can find a new part-time job instead if you prefer. Since you’re still working, you can keep employer-sponsored health insurance. But you’ll still have the majority of your time free to start settling into your new retirement lifestyle. Once you reach 65, you can make the switch to Medicare and fully retire. This is a great strategy for not paying full price for health insurance, and it has some other added-in benefits as well! You’ll still receive part-time income, so you may even be able to afford to delay filing for Social Security and receive a higher monthly benefit. And you have room to settle into your new identity as a retiree. I recommend everyone consider this option when they’re planning for retirement, even if health insurance coverage isn’t your top concern. The biggest retirement planning mistake I see actually has nothing to do with finance. I had one client who was a former Delta pilot. He was very successful and had all of his finances for retirement squared away. But he didn’t plan for his new identity as a retiree which caused him serious problems. He was used to walking through terminals in his pilot gear and seeing people express respect for his status. But when he retired the pilot uniform, all of that went away. He felt like he lost a piece of his identity and became seriously depressed because of this. This is a phenomenon I see all too often. People of all professions identify strongly with their careers. After all, “What do you do?” is one of the first questions people ask when they meet someone new. I’ve seen people use their newfound free time to write a book, volunteer, start a business, and much more. 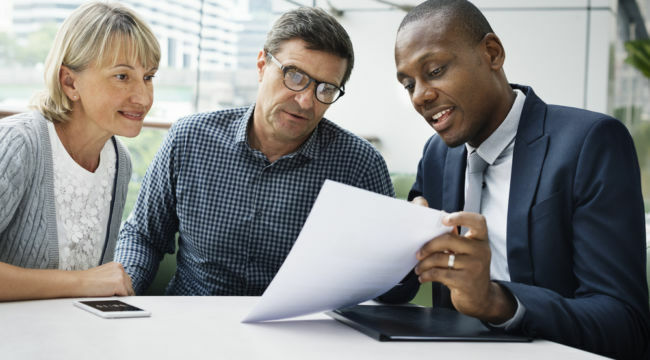 If you’re looking to avoid the most common retirement mistake, then you need to start thinking about what type of person you want to be when your career ends. Earned income is one of the many factors that contributes to how much your monthly Social Security check will be. More specifically, Social Security uses your highest 35 years of earned income in its calculation of your monthly check. The more money made over these 35 years, the higher your benefit will be. The math on this calculation can get complicated pretty quickly. And even if you use the income earning chart on the Social Security website, it will only give you a rough estimate. But what you need to know is that to get the highest amount, you’ll want to have as many years as possible earning the highest income possible — which actually brings me back to Question #1 when I talked about a “step down” retirement. If you don’t have 35 years of work experience, or you earned very little in a few of those years, working a part-time job is an excellent way to replace some of those zero-income years that are weighing on your Social Security benefit. Of course, everyone’s situation and ability to work part-time is different. But know that ultimately, the more income you make, the more you’re entitled to in Social Security benefits. That’s why it’s so important to file with a plan that takes into account every factor to make sure you and your loved ones are getting all you deserve. Do you have any questions about retirement that you want me to cover in this newsletter? If so, I’d love to hear from you! As a retirement specialist, I’m not able to provide you with the best and most accurate information unless I know a little about your situation. Editor Beau Henderson is a retirement, money and business coach, who has been researching proven money-building retirement strategies for the past 20 years. He is a best-selling author and popular host of The Retirement Show. Beau has written various articles in the Huffington Post, WSJ, Reuters, and has also appeared on CNBC’s Market Watch and FOX News. He holds a degree in psychology from the University of Georgia, and has a strong track record of helping people achieve success with money and in life.